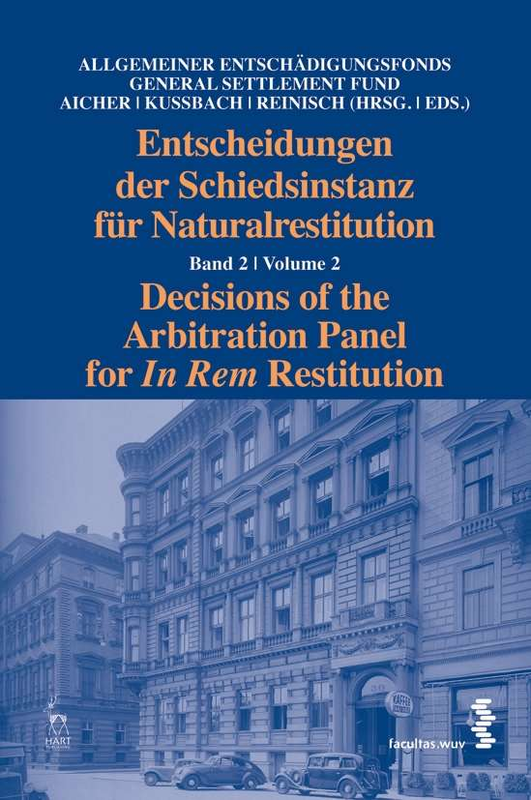 Volume 2 contains seven decisions of the Arbitration Panel from the years 2004/2005, in which the Panel decided on applications for restitution of properties in Vienna and Lower Austria. In two decisions, the Arbitration Panel recommended the restitution of properties owned by the City of Vienna in Vienna, Aspern (no. 24/2005) and Favoriten (no. 25/2005). In another decision the Arbitration Panel recommended the restitution of a property owned by the Republic of Austria in Vienna, Josefstadt (no. 27/2005).